The inspiration for the North American Thebaid Photographic Pilgrimage Project springs primarily from the example of seminarian Gleb Podmoshensky, whose 1961 pilgrimage to monastic sketes and settlements across the United States, Canada and Alaska, and his photographic slide show from these visits, had an inspiring and pivotal impact on a certain young man: Eugene Rose. — Excerpt From: Hieromonk Damascene, “Father Seraphim Rose: His Life and Works,” Chapter 22, St. Herman of Alaska Press, Platina CA, iBooks edition. As is well known, Eugene and Gleb co-founded, with the blessing of St. John Maximovitch, Archbishop of San Francisco, a missionary brotherhood, The Orthodox Word journal, a bookstore and printing press under the heavenly patronage of Elder Herman of Alaska. This led to the founding of the St Herman of Alaska Monastery in the tiny hamlet of Platina, in the rugged wilderness of Northern California, with Eugene and Gleb tonsured as monks Seraphim and Herman. Not all Orthodox Christians are so immediately inspired by their first exposure to monasticism. Everyone has his or her own path in life, known to God alone; so it is with monastics and how they are drawn to their calling. I think of my friend, Mother Paula, at the Orthodox Monastery of the Transfiguration in Ellwood City, in the beautiful hills of Western Pennsylvania, who came to embrace the monastic life only after a fruitful career as a school teacher, and later as a missionary to orphans in Guatemala at the Hogar Rafael Ayau. I am especially mindful of the vibrant witness of St Gregory Palamas Monastery in Hayesville, Ohio, which is approaching its fortieth anniversary, and whose brotherhood is thriving under the direction of Abbot Joseph (Morris). I was blessed to live at St Gregory’s for three months during the winter of 2015, and it was during that experience that the idea for the Thebaid Project was formed. 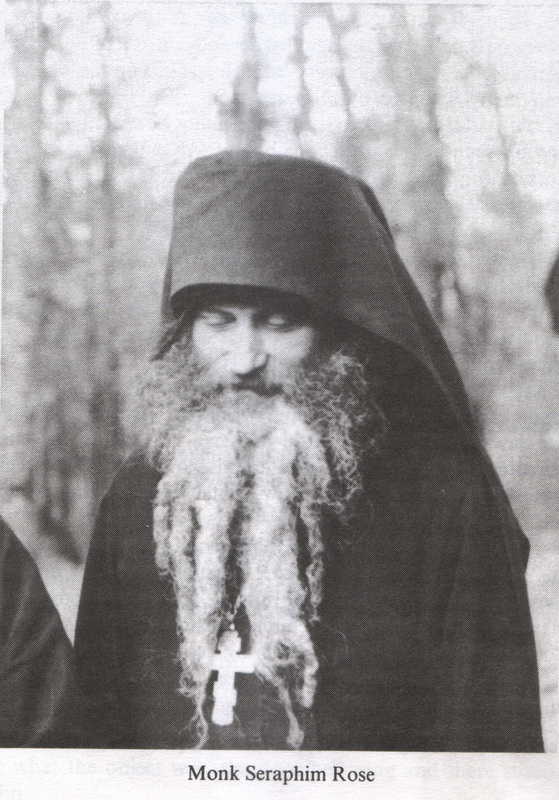 I call to mind also Monk Seraphim (whom I have yet to meet, but know of through Fr Alexander Fecanin of Birmingham, Alabama), who traveled to Russia and elsewhere tasting of the Orthodox monastic life at some of the great centers like Optina and Valaam, before being clearly directed by an eldress to that place within which his heart resonated, at St Anthony’s Monastery in Arizona. I think of the quiet and deeply inspiring example of Monk Silouan, Superior of Archangel Michael Monastery in Canones, New Mexico, whose life was transformed after his battle with cancer. The nearness of death which he experienced in his struggle, and his healing, infuses his monastic life with the peace of Christ, as anyone who has met him can attest. And I think of the new monasteries being founded, such as St. Peter’s Monastery being formed in Montana, the fruits of the faithful perseverance of Fr. Innocent and the Brotherhood at the Monastery of St John of San Francisco in Manton, CA and devout lay benefactors and donors in Harrison MT. Or of the Monastery of St. Silouan in Sonora, California, which grew out of the faithful labors of a small monastic brotherhood, two of whom had already passed on to their heavenly reward, before the land was donated and the monastery was officially consecrated in September 2015. These are just some of the ones whose examples will inspire the next generation of American Orthodox monastics, who expend their lives “in the breach” (cf. Ps 106:23), pointing the way for others, sparking and kindling the flame of divine zeal for ascetic labors undertaken out of love for Jesus Christ, His Most Pure Mother, the Church and the saints. This is what the North American Thebaid Project is truly all about. It is not merely about monasteries as places, nor about the monastic life generally. Rather, in a challenging and inspiring way, the Thebaid Project strives to present the Monastic Way chosen by these trailblazing monks and nuns, and it is about the future of Orthodoxy in America, which they are helping to prepare by their sacrifice and struggles. I am inspired to pick up my camera and make this pilgrimage across North America. May the Thebaid Project help tell the stories of these monastics, and inspire generations of seekers to take up the monastic mantle, to the edification and salvation of many! Amen!